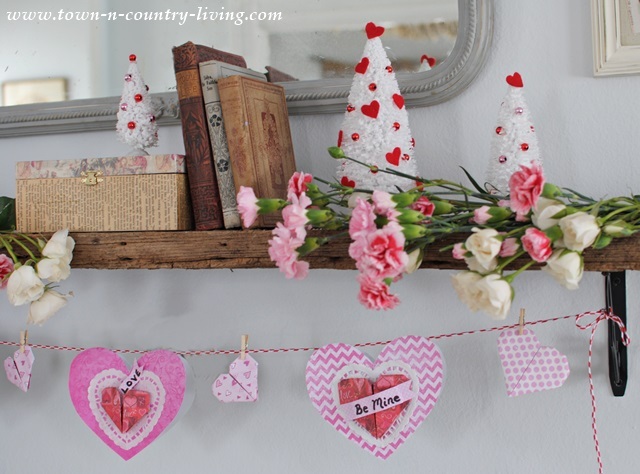 I must be going through holiday decorating withdrawals because I’ve never been as anxious to spruce up my home for Valentine’s Day as this year. I guess I really did enjoy decorating for Christmas. So anywho … I started making Valentine’s Day cards and one thing led to another and before I knew it, I had a paper Valentine heart banner instead. 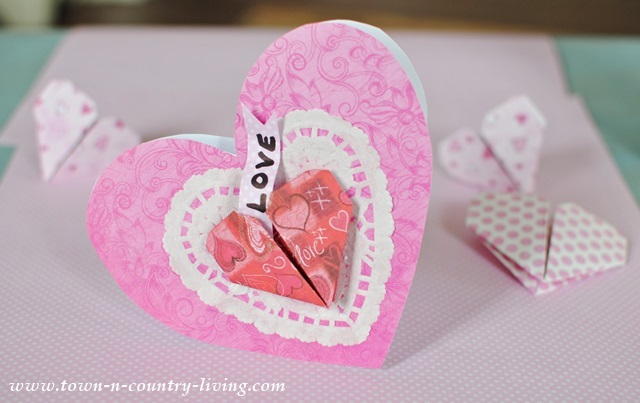 The big hearts were made with blank note cards and were supposed to be Valentine cards. They still could be … but I couldn’t resist hanging them up! In addition to the bigger hearts made from note cards, I added cute little origami hearts that I made. Each Valentine heart is slightly different. 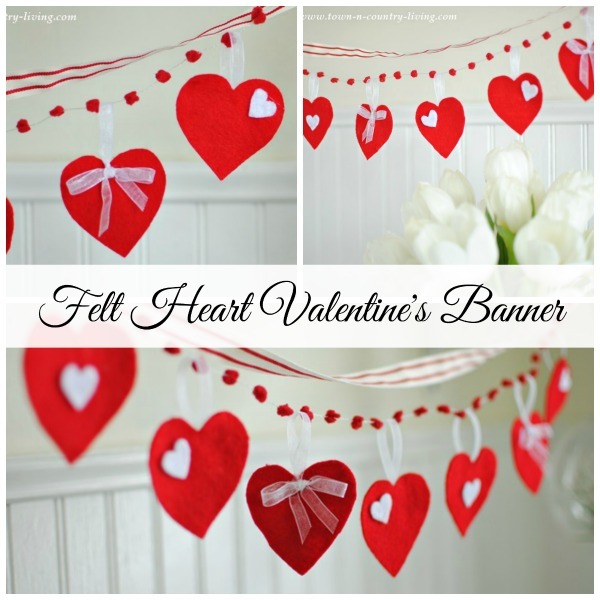 Would you like the instructions for making this paper Valentine heart banner? It’s really not that hard! 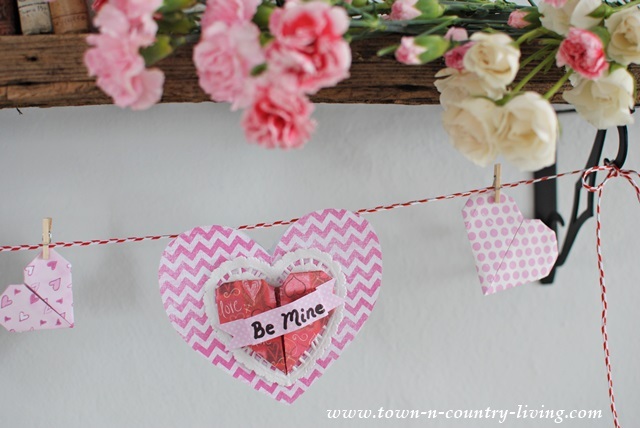 First pick up pretty Valentine scrapbook paper and blank white note cards from your local craft store. 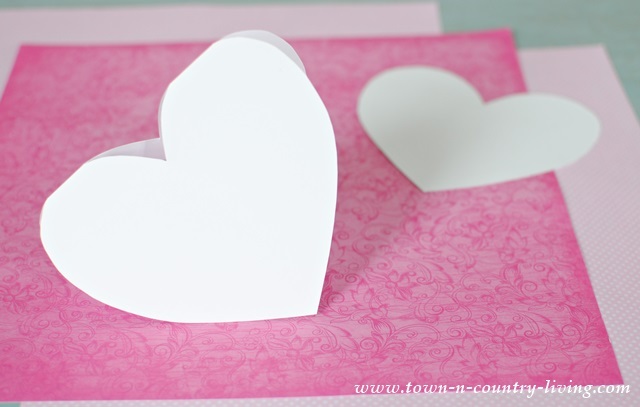 Cut out a heart template from any paper – you can simply print a heart template you find online. 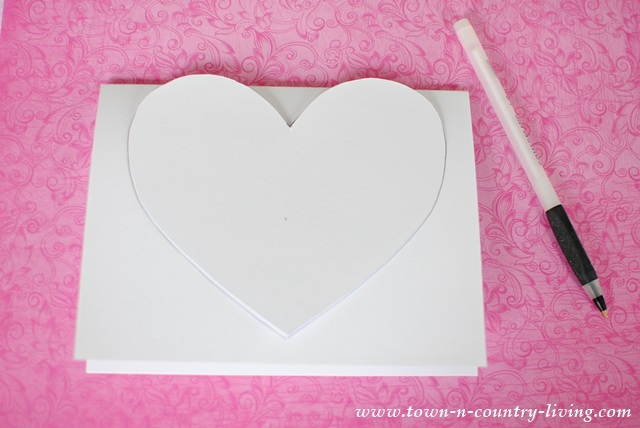 Trace the heart onto the blank note card, with the folded edge at top. 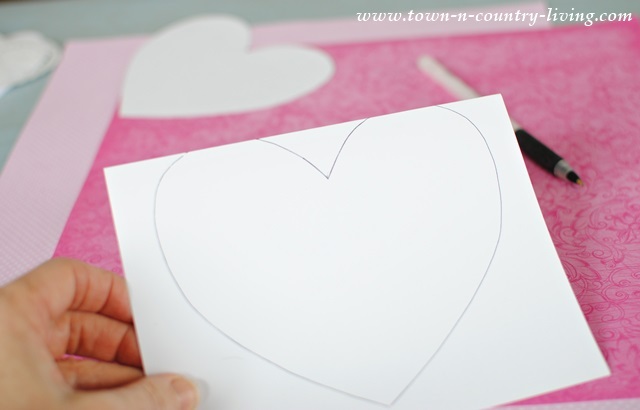 Trace the heart onto the card, making sure to overlap just the top of the heart above the card’s folded edge. When you open the note card, the Valentine heart will be joined at the top. 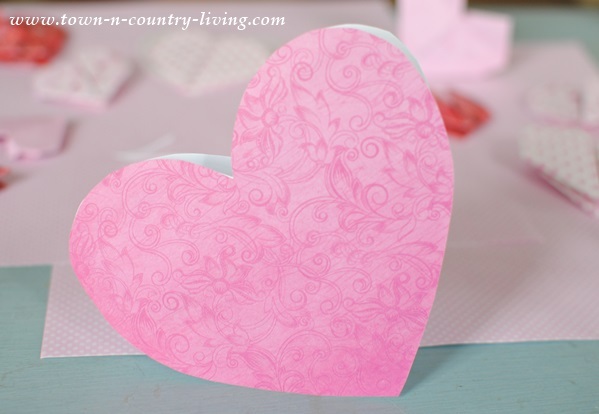 Using the same heart template, trace and cut another heart from the scrapbook paper. 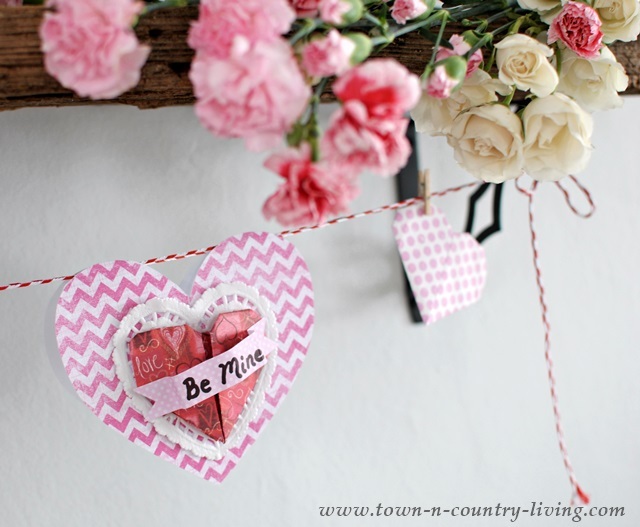 Using a glue stick or Mod Podge, glue the scrapbook paper onto the front of the Valentine card. Decorate as desired. I glued a doily on, and then followed with an origami heart. I used my hot glue gun to attach the origami heart onto the doily. The origami Valentine’s heart has a little pocket so I cut out a little banner, wrote LOVE on it, then tucked it inside. To use as a Valentine’s card, simply write a note on the inside of the card and insert into the envelope that comes with the note cards. 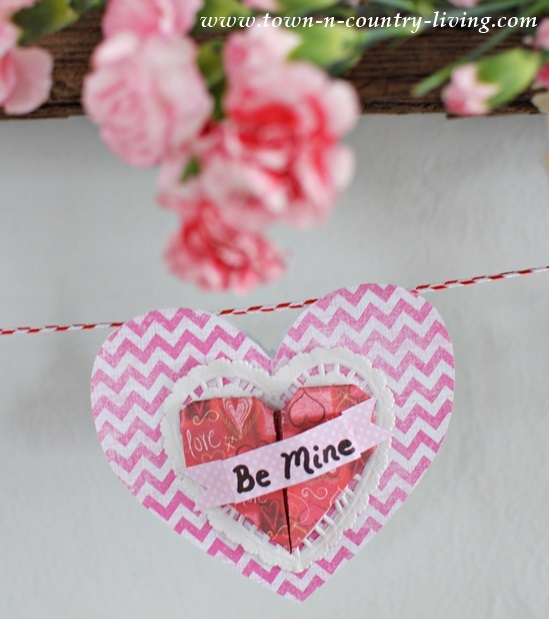 On this Valentine heart, I glued the Be Mine banner to the top of the heart using hot glue. Fold the little banner slightly before gluing to give it a 3-D effect. 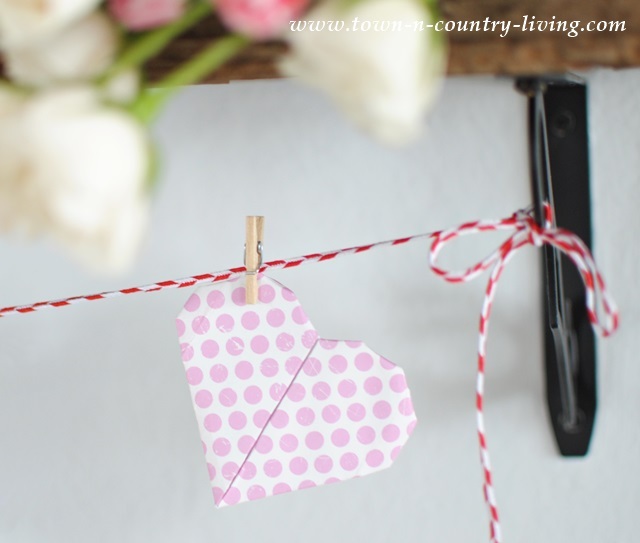 Simply hang the Valentine note card over your ribbon of choice. I found several tutorials for origami hearts. I simply hung them up with a mini wooden clothespin. 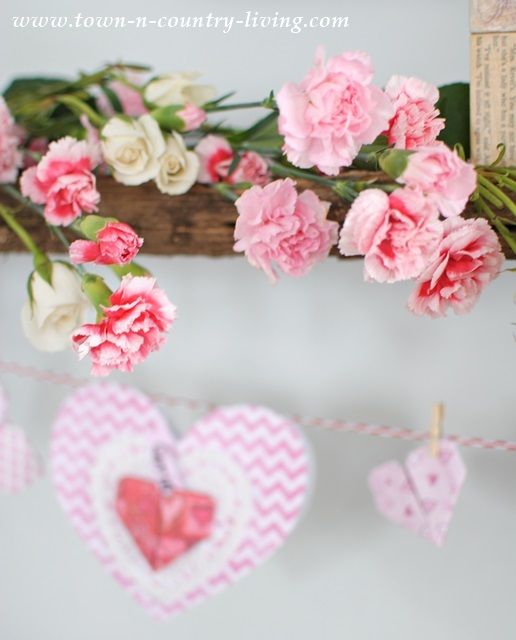 Carnations and spray roses are the perfect complement to Valentine’s decor. 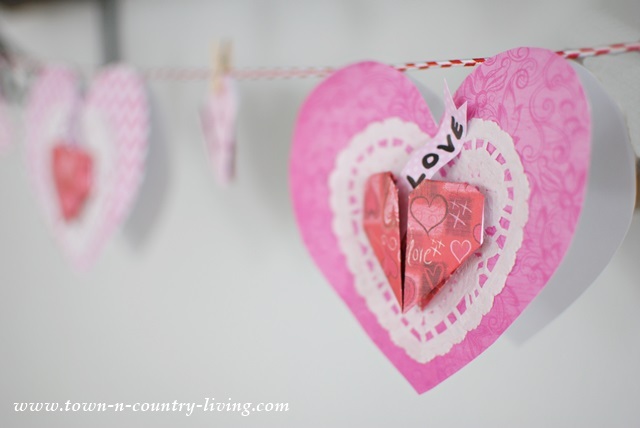 When making your own paper Valentine heart banner, you can decorate the hearts any way you want! And now here’s something special just for you! 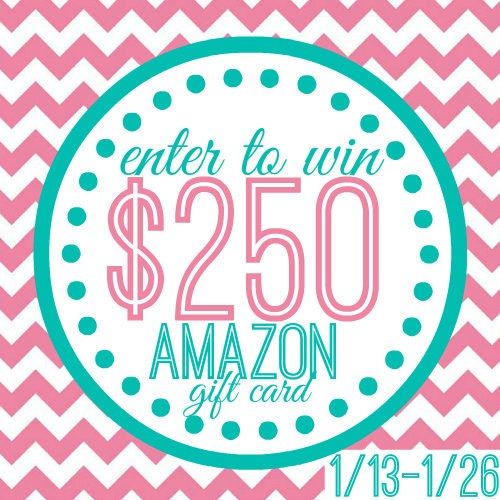 Be sure to stop by tomorrow for a special giveaway where you could win a $250 Amazon gift card! 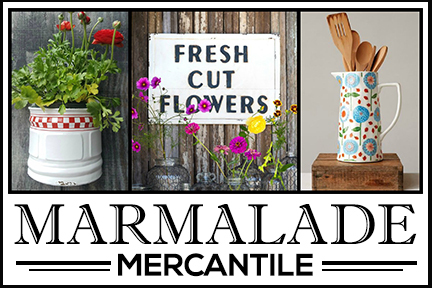 I’m joining 9 other bloggers to host this $250 giveaway. Will you be the lucky winner? Come back tomorrow to enter!! Love it! 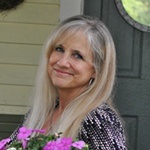 I am making something this week and sharing on blog! Very cute! I’ve never tried origami. Sounds like fun. I haven’t been bitten by that particular bug yet, but enjoyed your inspiration! 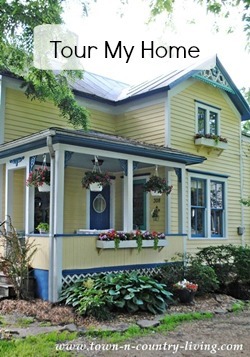 This is really pretty and quite easy to do. Love it! Thanks for sharing. These are so cute. 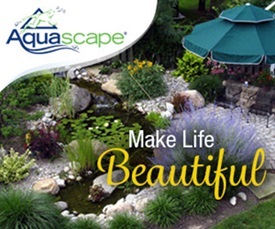 Will you be sharing how to make the bottle brush trees? So totally cute and just plain adorable! Love this! That is so cute Jennifer!